Flexible FAQ management software solution for Windows users. 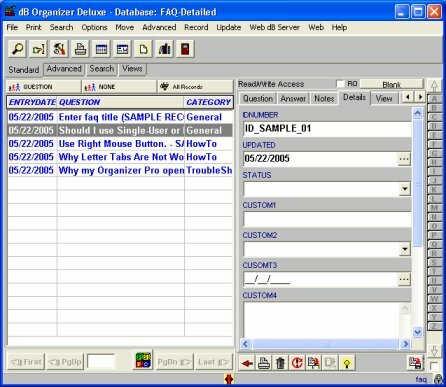 Use this database template to track and organize frequently asked questions. 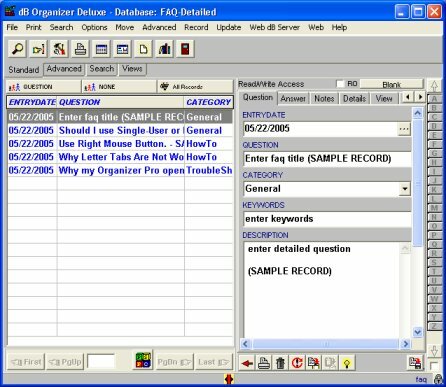 Manage faq related information including: entry date, question title, category, keywords, detail question description, answer, question details (number, update date, status), custom/user fields, and more. Easily maintain information about all your faq. Easily modify the template or create a new one.